For the past several years, Redwood Empire, a division of Pacific States Industries an d the Burch Family, has awarded scholarships to assist students who plan to obtain a college degree in Forestry and participated in one or more Forestry Challenge events. Recipients must be enrolled full time in a two or four-year program that leads to a B.S. degree in Forestry or a closely related field. The two students featured on this page each received a $2,000 scholarship. BRIANNA CEBELLERO received scholarships two years in a row. She is a graduate of Nevada Union High School in Grass Valley, where she and her team won the Shasta Forestry Challenge. 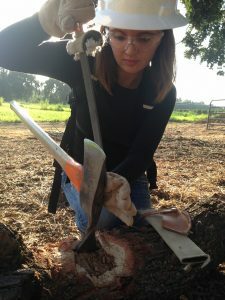 At the time she received this scholarship, Brianna was in her second year at Reedley College and was planning to transfer to a four-year school to earn her forestry degree. 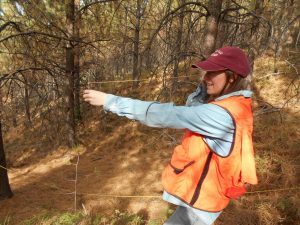 Brianna got an introduction to forestry field work at the Tahoe National Forest as a Recreation Technician. After graduation, she wants to be a field management officer for the U.S. Forest Service.